Are Factory Windshields Really Better? 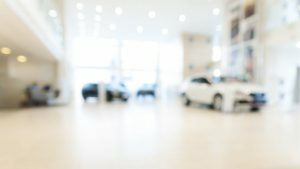 In case the windshield on your vehicle gets damaged to the extent that it no longer can be repaired and the only solution is replacement, there are two possible choices in front of you: you can either buy a windshield manufactured by the auto maker that made your car or you can get an aftermarket windshield. While some vehicle owners consider the windshields provided by their Original Equipment Manufacturer (OEM) to be a much better solution, others are of the opinion that aftermarket windshields (Original Equipment Equivalent windshields, also known as OEE windshields) offer the same quality, plus the benefit of affordability. If you are currently facing the same dilemma, here are some aspects to pay attention to before making the final decision. When it comes to the safety offered by OEM and aftermarket windshields, they both provide the highest level of safety to the driver and the passengers travelling in the vehicle’s cabin – both types of windshields are made from special glass that breaks into blunt-edged pieces when shattered to minimize the risk of injuries for those traveling in the car on the event of an impact. Both types of windshields meet and exceed the industry standards regarding safety, but in some cases, such as in the case of windshields that have integrated heating elements, cameras, radars or sensors installed, the recommendation of auto makers is to replace damaged glass with OEM windshield because replacement made with aftermarket parts can hinder the functionality of the systems that use the cameras, radars or sensors involved. OEM windshields are definitely pricier than aftermarket parts, in many cases, the difference being 40-60% and in many cases, the vehicle insurance carried by the car’s owner might not cover for the complete costs of getting the damaged part replaced with an OEM windshield. However, some insurance policies cover only for replacement made with an OEM windshield – in such cases the more expensive solution is the only one if the car owner doesn’t want to lose the compensation. Some experts claim that the quality of aftermarket windshields is inferior to the quality of OEM windshields, the acoustic shielding provided by aftermarket parts being much less efficient than in the case of original parts. Other people claim that aftermarket windshields might get dull faster, offering poorer optical quality, but you must bear in mind that aftermarket windshields are available in several different quality levels and the protective coatings applied on the glass might also different from one product to the other. It is also a fact that glass manufacturing technologies develop quickly, so an aftermarket glass manufactured recently might be of higher quality and might offer more benefits than the original, factory-installed glass on an old car. Do a search for windshield replacement near me and talk with them about the availability they have for OEM windshields. If you choose an aftermarket windshield for a complex vehicle, pay attention to choosing a product that integrates the same functionalities, such as sensors and also be prepared that the windshield installation process might need to involve some calibration to make the new glass work with the vehicle’s computer as well. Comments Off on Are Factory Windshields Really Better? Why Does My Car Have a Catalytic Converter and What Is the Role of the Unit?